(New York, N.Y.): Mallory Knox have just wrapped their first major U.S. trek, supporting Piece the Veil and Sleeping With Sirens on their winter tour. 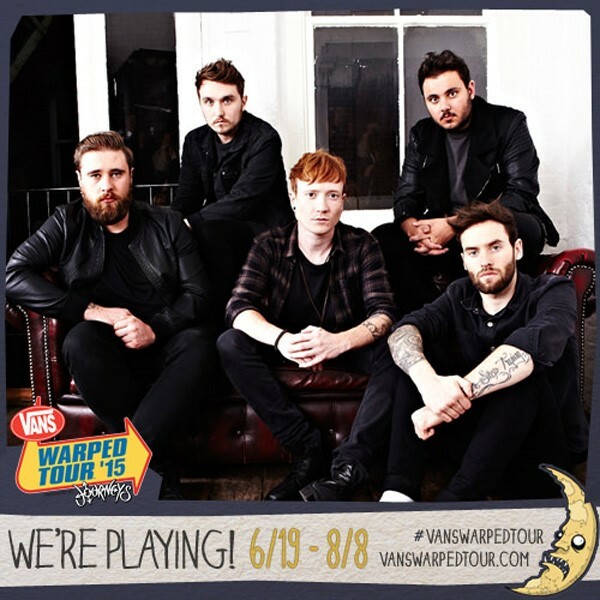 Mallory Knox aren’t staying away from U.S. audiences for long and will be returning to North America this summer, as they have booked a slot on the annual Vans Warped Tour. Mallory Knox, who share their name with one of the most unique and polarizing characters in modern film, will appear on the entire tour, which runs from June 19 to August 8, playing the Monster Energy Stage. Dates and tickets are here. Mallory Knox are understandably enthused about this amazing tour opportunity and they are beyond stoked about spending their summer vacation abroad, which affords them the chance to further win over American audiences. They already have their home turf in the UK on lockdown, having enjoyed four consecutive A-list singles at BBC Radio 1, Kerrang!, and MTV Rocks, and they are narrowing their focus on America! Mallory Knox will be sure to thrill Warped Tour audiences with songs from the recently released Asymmetry, which has earned the band some of its best reviews of its career. The band is also appearing at SXSW this year, playing a show at the British Music Embassy on March 18 and at Red 7 on March 21. “Bold, confident and assured, when the dust settles, it’s exciting to think what could be achieved in future years by a band that, in less than 24 months, have already come so far. Gripping.” —Kerrang! Also, you can watch the video for “Ghost in the Mirror” here. Watch the video for “Shout at the Moon” here.